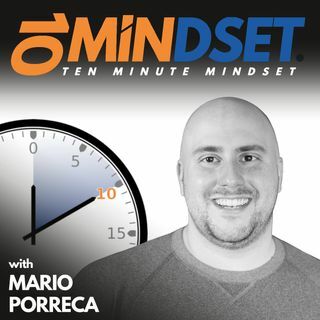 10 Minute Mindset is designed to help you start your day in the best state possible. Our habits create the life we experience each day. 10 Minute Mindset shares roughly 10 minutes of new content every single day to help you create momentum toward the life you desire to experience. Our daily GIO method kicks off each episode to help you become intentional and specific about the outcome you want to create, back it with compelling emotion, take strategic action toward it, and to do it from ... See More an empowering state of gratitude. The rest of the podcast is designed to help you build and align your mindset with your unique purpose—and to live that purpose passionately to create true fulfillment in your life. If you want to uncover your unique purpose to serve and impact the world as only you can, then join us for 10 minutes each day to align your mindset and build momentum toward what you desire to achieve.